Check out these reviews written by our teen customers! We love hearing what you think–if you are in grades 7 – 12 and want to review a book you’ve read, submit your review. New reviews are posted monthly. 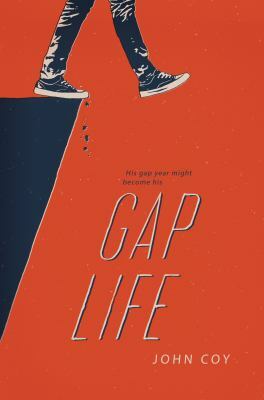 This book, “Gap Life” written by John Coy is about the main character Crayton who is stuck on the thought of going to college or not. He finally meets a girl named Rayne who changes Crayton’s mind about going to college and deciding to take a gap year instead. This book is meant for the early adolescents that are in high school or just finishing up. Giving the reader a question “Do I want to go to college?” It also asks the reader “Am I really doing what I want to do?” The main character is distraught over the thought of having to do what he is told to do and expresses a sense of individualism and rebellion. The younger crowd will see that Crayton is a person who is confused and doesn’t know want he wants to do but with the help of Rayne, Crayton finds that he does not want to live a restrained lifestyle and wants to find what he truly enjoys doing. Mark Twain’s novel The Adventures of Tom Sawyer (1876) is definitely worth a second look. I read it first in middle school when I was probably about the same age as Tom himself. At the time I just viewed it as an outdated, even awkward story. What kind of boy is old enough to be interested in girls but it is still pretending to be a pirate? Now, reading it again in high school, I have another perspective. Tom is more like an adult’s nostalgic idea of a tween. His days are filled with non-stop adventures—more like someone’s memories than a day-to-day account of a boy’s actual life, which probably had a lot more dreariness than we see here. That’s a good thing, though, because the novel gives us entertainment while still cutting through sentimentality for childhood with a mockery of adult hypocrisies. 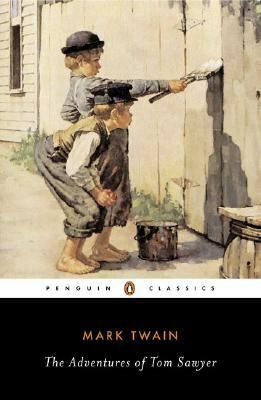 Overall, Tom Sawyer is an exciting yet morally rewarding story. Today we would call Tom a “free range” kid. He’s allowed to be unsupervised by adults and get into dangerous situations. He swims in the Mississippi River, camps out on an island, sneaks outside at night, smokes, and has run-ins with real criminals. I haven’t had any of these experiences and I don’t know anyone who has. Then again, I don’t know any vampires either, and they still make good characters in books because they provide extreme situations that lead others to important moral choices. Ultimately, Tom must choose between protecting himself and doing what is right. “The Fault In Our Stars” is a novel by John Green that explains the exact relationship I plan to have..one day. 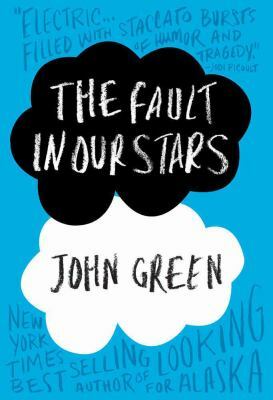 Anyways, this book starts off with a teenage girl named Hazel Grace Lancaster. She has thyroid cancer with mets in her lungs (I don’t know exactly what that is but I know it is a serious form of cancer). She was home-schooled for about 3 years so her mom and dad were her best friends as well as the author of her favorite book. Eventually, her parents had arranged for her to go to a support group which included many different people with many different disabilities. She soon came across a boy named Augustus Waters who also has form of cancer called Osetosarcoma. He isn’t like any boy she has ever seen and they find themselves eventually falling in love. He has a wonderful charm that makes her feel like she is wanted very much and from there on out thy see each other daily, appreciating the time the spend together knowing that they will die sooner rather than later. I quite enjoyed this book seeing that it kept me wanting to know what the next chapter holds. As the book reaches it’s climax, you will get hit by an event that seems somewhat predictable unfortunately. I definitely recommend this book to anybody who gets intrigued by novels of romance and adventure. 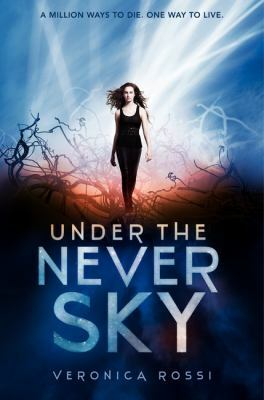 Under the Never Sky is an absolutely wonderful story with a good amount of romance and betrayal, but not too much that it cancels out the other. Each character has their own personality that makes them special. Aria the main character, came from the pods where she had everything at her fingertips, but she went to explore an abandoned pod for fun with a few of her friends and her life changed from that moment on. She was ripped from everything she ever knew and was cast out into the outside world where she met Perry, a brother to a tribe leader, and a new life began. My favorite part of this book is when she met Perry for the first time and they did not like each other at first but as time went by they warmed up to each other. 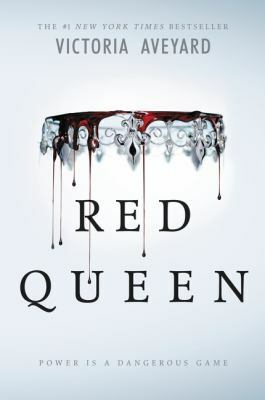 If you like this book you would also like Red Queen by Victoria Aveyard. 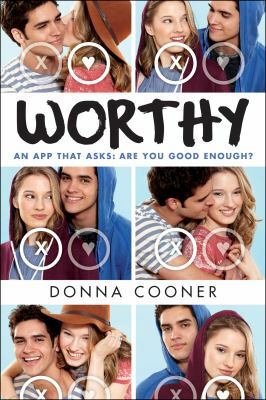 The book “Worthy” by Donna Cooner is an amazing book about how you don’t have to pretend to be someone you’re not just to get someone’s attention. There are things that will try to bring you down, but you need to put that aside and focus on yourself. People do care about you so don’t try and change the way you are, look, and speak. “Worthy” will teach you all the above. The main characters, Linden, a girl from Texas with a dream to be a writer, and Alex, a boy who plays baseball and loves Linden deeply. They go through so many obstacles because of an App. I think “Worthy” had some good messages for us teens. Also, if you love romance books you will love this book because it is full of love and romance. The story is so addictive and it kept my attention, so read it! 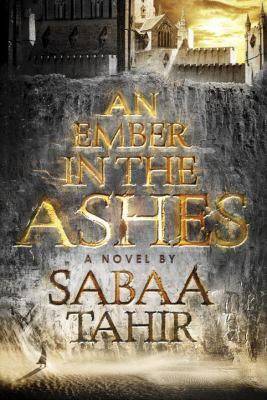 An Ember in the Ashes tells the story of two protagonists that make the most unlikely pair. Elias, a Martial soldier, is faced with doubts about the brutal regime he serves. Laia, a Scholar, aligns with the Resistance to free her brother who has been captured. To help her brother Laia must spy on the Commandant, while posing as a slave. Meanwhile, Elias is chosen for the Trials, a competition in which Martial soldiers contend for the position of Emperor. These two characters’ stories intertwine and each develops a connection with the other. I loved reading this book, as the world-building was exceptional and I was left in suspense at the end of each chapter. It is told from two point of views, allowing readers to view the story from two very different lenses. The story offers a good balance between captivating action scenes and complex character development. Each character must make difficult choices and live with the effects of those choices. Impending moral questions form as a result of these choices that made me question what is viewed as “right” and “wrong”. There is a romantic subplot, with two love triangles, but it doesn’t take away from the actual story-line. Overall, this was a remarkable book with dark themes, heart-wrenching action scenes, and characters that suffer through atrocious circumstances. To begin with, this entire series was astounding…but it was “Red Queen” that truly struck out as an alluring novel. Set in a segregated world where blood determines your status and fate, Red blooded citizens (who are drafted into a hopeless war) are destined to serve the “Elite” Silvers, humans with silver blood have supernatural abilities that deem them powerful and as descendants of Gods. This first novel of the series follows the journey of Mare Barrow, where she discovers that while she is a lowly Red, her lightning silver power makes her dangerously powerful–and a target. To hide this abnormality, the royalty of the palace announce Mare as a “lost Silver Princess”, and marry off Mare to Prince Maven, where she is undoubtedly used as a pawn to quench Red rebellions. To protect her loving family and to avenge her heart to the King, she desperately dodges the players out to get her to help out with the Red Guard (a rebel organization intent on setting the Silver tyrants down). But in this game of cat and mouse, can she survive long enough to help the people she loves most…and trust the right boy who has captured her heart? Because in this world, betrayal is the key, and one wrong move can cost your life. Red Queen was absolutely delightful to read that left me at the edge of my seat the entire time. The narrator of this astonishing novel is an uncommon and untimely one, the death. The backdrop of the story is the historical time of World War II, when hardships, poverty, and Jewish-hatreds are widespread especially in Germany. 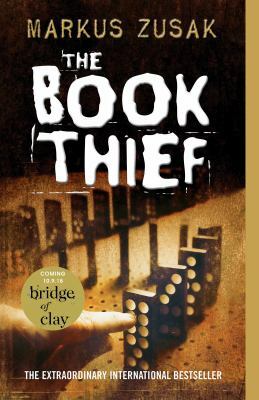 The protagonist, Liesel Meminger, whom death becomes fond of during her journey in that period, is an orphan who lives with a foster family that’s harboring a Jew, and since the day she lost her little brother and was left by her mother, she became a book thief. She is a book thief, who unleashes powerful words as Max, the Jew her foster family hidden in the basemen, said. Throughout the event of the story, Liesel becomes really attached to whatever books she may see or touch. This was an amazing adventure of a little girl, satisfying herself by stealing books in the painful times of war. This novel really inspired a lot of readers including me. Cadence Sinclair is a 17-year-old girl who survived a horrible accident at her family’s summer home two years ago that she cannot remember. The elders in her family believe that their name is a proud one. In that family, no one is criminal, no one is an addict, and no one is a failure. In Summer Fifteen (as in the age Cadence is during the summer spent on the island), a mysterious event happened on the family’s private island while Cady was spending her summer vacation together with the Liars–her two cousins, and Gat, who she had a relationship with during that season. Unfortunately, she was a victim of an accident; or was she? Then she returns after 2 years after her accident determined to remember the details, but as the pieces start to come together she discovers not only the painful truth of that night, but a shocking revelation about herself. The things that I really loved about this novel are that it is a contemporary story dealing with pride and honesty and the plot twist in the end is very wondrous and remarkable one. 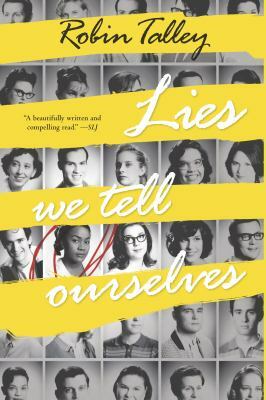 Lies We Tell Ourselves is a story of Linda and Sarah, that takes place in 1959. Both girls are on opposite sides of the civil rights movement. An event that will change their lives as much as they change one another’s. Sarah is on the forefront of the integration movement. She and seven other African American students are integrating into a local “whites only” high school, the first of its kind in Virginia. Sarah is starting her senior year of high school, a year that’s meant to be full of college acceptances and fun times with friends. But she is met with torment and constant ridicule for her skin color as she becomes part of the student body. Life is anything but fun for Sarah, especially when she butts heads with Linda, the daughter of the towns chief newspaper editor. A girl who is as strongly supportive of segregation as she is beautiful. As Sarah fights for the integration of the school, she also battles with her conflicting romantic feelings toward Linda. This fantastic book takes a realistic view of the integration fight of the 1960’s and the still relevant topic of gay rights. Since this is my final review, I wanted to find a great book to end with. 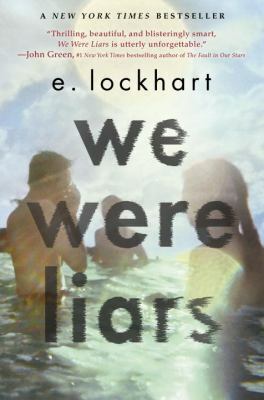 Lies We Tell Ourselves was a real eye opener and had me captivated throughout every chapter. Thank you to everyone who read these reviews and have fun reading! We will only post your first name with your review. If you would like to have the review posted anonymously please let us know in the comments section below. What grade are you in school? We will send a copy of your review to your library. In order to receive volunteer credit for submitting a book review you must make arrangements with your local library in advance. If you are submitting a review as part of your volunteer service they will sign off on the hours for you. Please submit your book review here. Book reviews should be between 150-250 words, and should require little or no editing by library staff. Feel free to show us your personality! Remember, you aren't writing a book report. Have fun with it! Every book has an ISBN. This number can be found in the library catalog on our website lacountylibrary.org.